Nougat Vital, genuine manufacturer of top quality Nougat. Founded in 1926 by Vital Gormez, a young Maître Nougatier with great appetite. He felt that he had to create his own nougat recipe and just boldly went for it. He followed his gut feeling. He did what he had to do: to make the tastiest nougat in the World. We are the descendants of Vital, our grandfather, and we didn't want to do less than to honour his entrepreneurship. We do not compromise. We will serve you one of the best nougats you've ever tasted. We will not ask ridiculously high prices, as our factory is hi-tech, in favour of the finest ingredients and traditional cooking methods. We rarely wear a tie, or a deux-pièce. What does quality even mean? It's all about choosing the best components, and combining them with time and dedication. We cook in copper kettles, because they're the best. Fresh egg white is whipped to create fluffiness. Heavy sugar syrup is combined with natural honey, to create sweetness. Almonds are peeled and gently roasted, to top off the recipe. Many good things are made out of three, and then our nougat is born. Vital is based in Belgium, a country with a long tradition of experienced craftsmen. 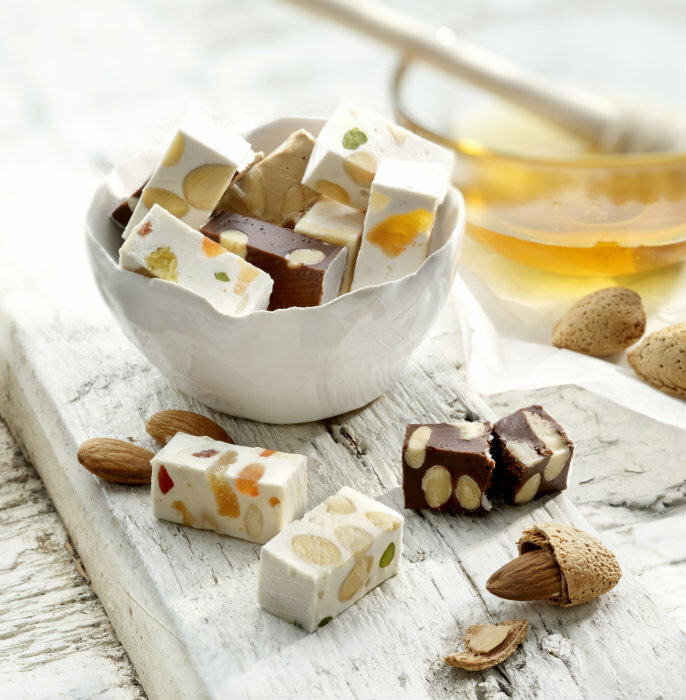 Our nougat is handmade with care in a third generation company near the city of Ghent. Just tell us, send us a mail or drop us a line (+32 9 371 63 13, Monday-Friday, 8am-5pm cet). Join us on facebook and order from our online shop.